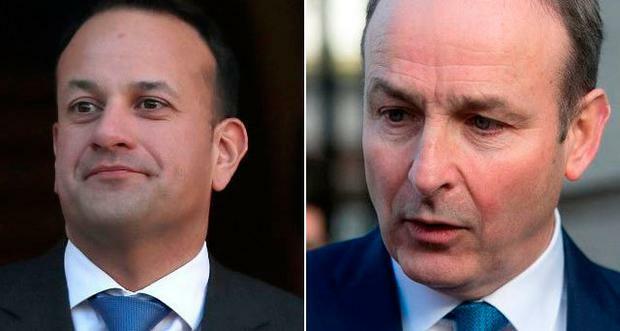 TAOISEACH Leo Varadkar and Fianna Fáil leader Micheál Martin remain at odds over when to begin talks on renewing the Confidence and Supply Agreement after a meeting in Kerry. The pair met in Killarney where they discussed Brexit, the upcoming Budget and referendums and the deal where Fianna Fáil facilitates the Fine Gael-led minority government. A Fine Gael spokesperson described the meeting as “a constructive discussion on a range of issues”. Statements from both parties said that Mr Varadkar gave his views on the need to review and renew the deal between Fine Gael and Fianna Fáil. The Taoiseach has repeatedly said he wants the talks to begin before October’s Budget. The statements also said that Micheál Martin reiterated his view that the review of the Confidence and Supply Agreement is provided for at the end of 2018. Both parties said that Mr Varadkar and Mr Martin agreed to meet again in September and in the meantime they will engage on the upcoming budget.